TVPlayer.com is supported by playmoTV. Their focus is live TV, so you can just select BBC on their site. Visit bbc.co.uk/iplayer from your browser. 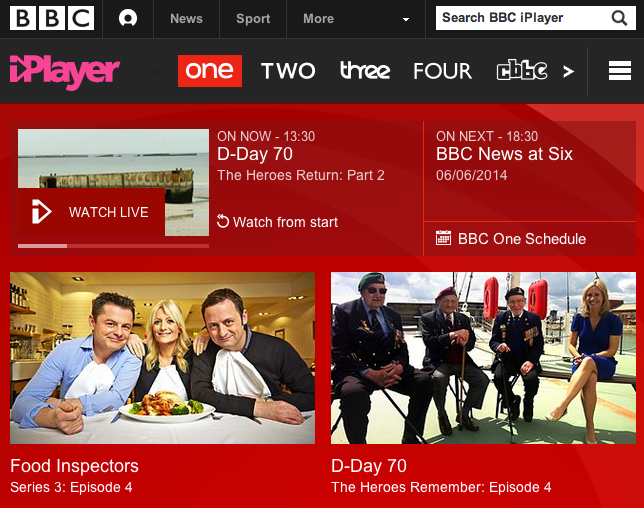 Select the channel you want to watch in the menu right next to the iPlayer logo. For this guide we are using BBC One. 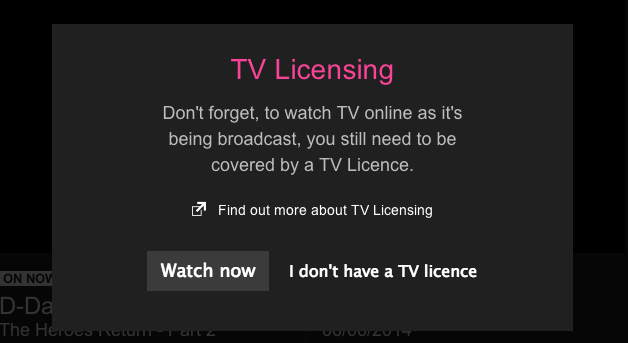 Disregard the TV licensing message and click Watch Now.